April | 2015 | Sonic Smash-Music! 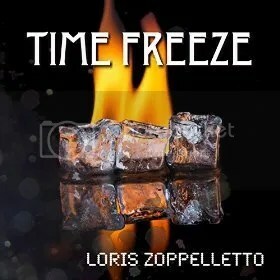 The ingenious music artist known as Loris Zoppelletto has released his latest official single, “Time Freeze.” The track has been published on the 01Soul System independent record label outside the influence of the corporate music industry. At once both cutting-edge and based on the same house music principles which founded the popular scene in Europe and the United States, “Time Freeze” by Loris Zoppelletto is a dance music phenomenon which gets dance floors jumping in seconds, flat. Unique to “Time Freeze” and setting it apart from the rest of the EDM and house music genres is the philosophy which it exemplifies, the point its creator, Loris Zoppelletto, is trying to make in having created it. Being foremost a specialist in science and technology, Zoppelletto believes in becoming adroit in multiple fields. Hence, his foray into making music is a message and a proof to the public at large. Zoppelletto is known also as a trainer in various fields. With many years of experience, he has dedicated himself to codify teaching methods and systems for creating content to transmit skills to different types of audiences. The effort in this direction culminated in the filing of a patent for a revolutionary method allowing one to quickly create a systematic training course. This method has been registered under the eDooCo® trademark. “Time Freeze” by Loris Zoppelletto represents the fruit of an artist’s creative efforts, but with the added meaning that the artist is not primarily an artist, but rather a multi-disciplinarian. Listen today! “Time Freeze” by Loris Zoppelletto is available online worldwide. 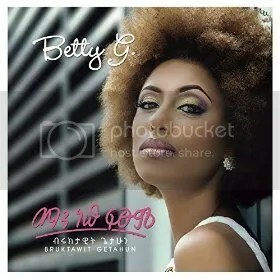 The singer and songwriter known as Betty G has released her anxiously awaited LP album, “Manew Fitsum.” The record comprises 13 original songs for an approximate total listening time of one hour, making for a comprehensive introduction to Betty G’s uniquely captivating repertoire. Classy, elegant, and warmly upbeat in both her singing and songwriting, “Manew Fitsum” by Betty G is the most exciting album from the African continent in 2015 so far. Born and raised in Ethiopia, Betty G grew up in a French high school and graduated college in the French system. Her multicultural background informs her music from every angle, brightly painting her lyrics in French, English, and Amharic, the official language of Ethiopia. Likewise, her overall style varies from mainstream pop to adult contemporary with hip-hop, reggae and rock frills, always celebrating her homeland with strong and wonderful African undertones. This is perhaps best exemplified in “Nana Demaye,” one of the record’s most uplifting and evocative songs. Betty G’s singing career began in high school when she began performing in her school’s carnival program. From there she moved to playing live gigs at nightclubs, at which venues she regularly appeared until she achieved her bachelor’s degree. Now, with years of experience onstage and a concrete, passionate fan base, Betty G has collaborated with some of the scene’s best-loved artists, such as Nhatty Man, Zeritu, Teddy Afro, Jonny Raga, Black Bukan, and Koby Maxwell. Fans of such legends as Madonna, Cher, and Kylie Minogue are sure also to enjoy “Manew Fitsum” from Betty G.
Several official music videos for Betty G’s music are also available for viewing online (link provided below). “Manew Fitsum” by Betty G is available online worldwide. Pop fans and DJs everywhere should definitely get in early. The titans of folk, alt-country and Americana music known as the Ebony Hillbillies have released their anxiously awaited live album, “Slappin’ a Rabbit – Live!” The record is a full-length LP comprising 10 tracks for an approximate listening time of 40 minutes. It has been proudly published on the EH Music independent music label. Jubilant, genuine, and red-blooded-American in a way only raw country music can express, “Slappin’ a Rabbit…” proves that the Ebony Hillbillies aren’t just playing the music of yesteryear – they’re evidence that it’s very much alive. The NYC-based Ebony Hillbillies cite as artistic influences Murph Gribble, Mississippi Sheiks, Canray Fontenot, Doc Roberts, Dennis Murphy, Leonard Bowles, James Brown, Willie Dixon, and other legends of the North-American music tradition. This goal of unifying the people isn’t just a dream, either. The Ebony Hillbillies write and perform their music with the principle guiding every movement and phrase. The band goes on to describe their overarching philosophy behind not just their own music, but of all American music. They explain that the music of the United States isn’t based on exclusivity and individualism, but rather, a tendency to bring in, to appreciate, and to synthesize. The Ebony Hillbillies have been called “the toast of the North.” Their history of prominent performances includes venues such as Carnegie Hall, Lincoln Center, international music workshops and festivals, collaborations with popular visual artists and museums (Kara Walker, the Whitney Museum of American Art, the Smithsonian, etc.) and on television networks such as ABC, NBC, CBS and the BBC. North-Carolina favorites the Carolina Chocolate Drops have cited the Ebony Hillbillies as key inspirations, and the Pete Seeger family have given them enthusiastic accolades. The history of the Ebony Hillbillies is a trail of critical and fan approbation and rousing, universal applause. Credibility, nothing. The Ebony Hillbillies don’t play music that once was – they’ve brought this American sound through time, thrumming, jumping and alive, to the thrilling ears and dancing feet of discerning audiences of today. 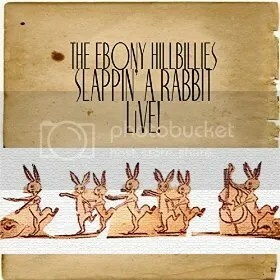 “Slappin’ a Rabbit – Live!” by the Ebony Hillbillies is available online worldwide. Get in early, music fans. Very early. Be sure also to see the Ebony Hillbillies on the new BBC documentary, “Blues America,” featuring Keith Richards, Taj Mahal, Bonnie Raitt, and Chuck D.
The singer and songwriter of modern soul and R ‘n’ B known as Noel has released his latest EP album, “Authentic Love & Pain.” The record comprises six original tracks for an approximate total listening time of 15 minutes. It has been proudly published on the singer’s own Noel Records independent music label entirely without the financial or managerial support of the corporate music industry. Smooth, stylish, melodic and rattling with unstoppable back beats, “Authentic Love & Pain” stands as proof that Noel is a master songwriter and five-star performer steadily climbing toward the top. Noel originally hails from New York City’s hip-hop hotbed of Brooklyn. Asked to name some of his main artistic influences, he cites a long and distinguished list including Drake, Stevie Wonder, Esperanza Spalding, Dwele, Michael McDonald, Craig David, Al Green, R. Kelly, Amy Winehouse, Frank Ocean, and Luke James. Noel’s current official bio describes his sound as “a concoction of classic soul and modern-jazzy R&B over hip-hop instrumentals.” Accessible to fans of any music genre, this combination strikes the ear as mellow and cool, yet with strong undercurrents of passion and intensity which rise up in the flawless vocal performance of Noel, himself. Adding to this a healthy dose of Motown-style groove and lyrical earnestness not often found in any category of music arrives at a place listeners will want to visit as often as they can. The honesty of his lyrics on “Authentic Love & Pain” stems not only from the nature of Noel, himself, but also from the heart of the music. Aptly titled, the EP record acts partially as a romantic chronicle. The album acts as both a parable and a question, he says. 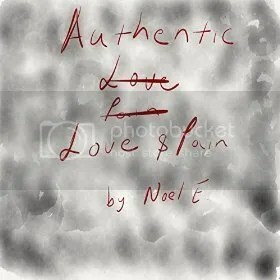 “Authentic Love & Pain” by Noel is available online worldwide. Get in early. Very early. Noel is a Brooklyn, NY songwriter currently residing in Ann Arbor, MI who has been songwriting for various up-and-coming artists and producers for over a decade. Noel spent six years in Nigeria, and shortly after his return he met a high-school sweetheart and heartbreak. This relationship set off a series of poems Noel would use to vent his emotions. A friend and up-and-coming producer had trouble writing finding lyrics for his songs. The two friends teamed up and shortly after Noel collaborated with local producers in the NYC. His lyrical content focuses on vulnerability, exposing the joys and tragic imperfections of love. 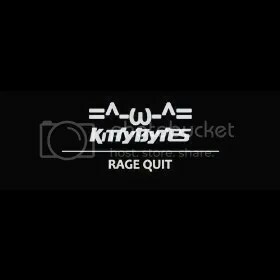 The composer and producer of digital music known as Kitty Bytes has released his latest single, “Rage Quit.” The track has been distributed to more than 750 online music outlets around the world and is poised to reach Kitty Bytes’ largest number of fans yet. It has been proudly published as an independent release outside the influence and financial support of the corporate music industry. Boasting a retro style and feel playing out over a steady build with a pounding, bass-heavy crescendo, “Rage Quit” is an EDM single which will have fans on the dance floor and airborne in droves. Kitty Bytes is a new electronic music artist with a deep love for the sound. His particular style is unique to him in the digital music underground, “Rage Quit” being his biggest public release to date. He cites as main artistic influences the work of Deadmau5, Mossy, Dinka, Shingo Nakamura, and Porter Robinson. While his new single sports many of the best attributes of these popular DJs, Kitty Bytes’ own music is exceptionally non-derivative and remains his own. The rapper and singer known worldwide as Gee Kazz has released his latest hip-hop single, “Why U Mad.” The track has been proudly published on the BrightLife Music independent music label without the influence of the corporate music industry. In addition to the considerable talents of Gee Kazz, “Why U Mad” also features the skills and performances of fellow BrightLife associates Anthony Gate and Emaculent, whose “15 Minutes to E” LP appeared in March of 2014 and has been garnering global attention ever since. Fresh, pumping, deftly performed and marked by creative rhythms and background textures, “Why U Mad” by Gee Kazz is one of the most uniquely excellent hip-hop tracks to appear in 2015. Gee Kazz cites as main artistic influences Elton John, T.I., Michael Jackson, Akon, Kendric Lamar, and Lionel Richie. With such a diverse spread of sounds informing his own brand of hip hop, one would expect Kazz’s music to be unpredictable, colorful and new to the ear, but the whole truth is that his characteristic sound stems largely from his multicultural background, being born to French/Nigerian parents and living now in the USA. Gee Kazz has been making music in the United States since 2012. His debut mixtape, “Rebirth of Kingship” gave him his first taste of fame online and won him the attention of BrightLife Music CEO Bright Enabulele. 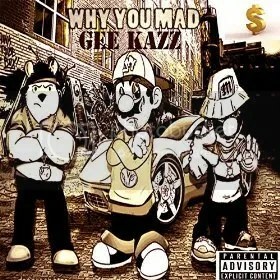 “Why U Mad” by Gee Kazz feat. Emaculent and Anthony Gate is available online worldwide. Hip-hop fans should get in early. “Why U Mad” has been released with an official music video available for viewing online at the artist’s official website (link provided below). 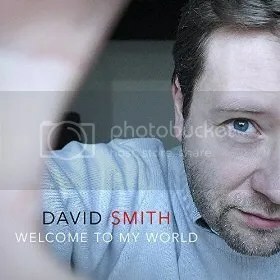 The producer and composer of electronic dance music known as David Smith has released his new extended-play album, “Welcome to My World.” The EP contains no fewer than six original David Smith titles for an approximate total listening time of 25 minutes. The album has been published on Smith’s own independent record label without the financial support of the corporate music industry. Vivacious, pounding with bass and wildly energetic, “Welcome to My World” by David Smith is exceptional dance music for dancers and listeners alike, perfect for cutting-edge DJs who want to light up the dance floor with audio fire. David Smith (often stylized davi6smith) cites as main artistic influences such house music heroes as David Guetta, Calvin Harris, and Avicii. Smith’s own music shares a great many similarities with the remarkably popular singles and albums of these legends, with the added benefit that Smith’s music strikes the listener as something fresh and new to make nightclubs come alive with dancing. David Smith is an EDM artist from Belgium whose native language is French. His debut single appeared in February of 2015 to critical and fan acclaim around the world. While his career in dance music is still very new, his tracks are already planned to be heard at such dance festivals as Sensation, Tomorrowland, the Ultra Music Festival, and others. His music is particularly accessible to listeners and has been called perfect for commercial use both in Europe and internationally. Still, Smith has plans to branch out into the pop mainstream by collaborating with singers in the future. David Smith has already gained a reputation for being one of the hardest-working music producers in the scene today, and he’s not afraid of the effort involved. The “Welcome to My World” EP by David Smith is available online worldwide. Get in early, dance music fans and DJs everywhere.